Quinoa is a seed that belongs to the spinach/chard family, which is why it is called a pseudo-cereal or pseudograin. The plant Chenopodium quinoa is closely related to bathua which is Chenopodium album (goosefoot). Quinoa is naturally gluten free and therefore a go-to wheat alternative for people allergic to wheat gluten. 1. Quinoa is a seed that belongs to the spinach/chard family, which is why it is called a pseudo-cereal or pseudograin. The plant Chenopodium quinoa is closely related to bathua which is Chenopodium album (goosefoot). Quinoa is naturally gluten free and therefore a go-to wheat alternative for people allergic to wheat gluten. 2. While a large number of varieties of this grain grow in the Andes, the commonly available ones are white, black and red quinoa. 3. Quinoa is one of the commonly mispronounced food names. The correct pronunciation is keen-wah. 4. Quinoa is rich in protein, magnesium, dietary fibre and B vitamins. It is also a good source of antioxidants called flavonoids. 5. Quinoa has double the protein content of rice, one cup of cooked quinoa yielding about 8 grams protein. It is one of the few vegetarian food options that is a complete protein. ie. containing all nine essential amino acids, which are usually present only in animal foods. Vegetarians usually need to combine various food groups -- dal, rice etc -- to get complete protein. 6. Quinoa has a Glycemic Index of around 55, which ensures a slow and gradual rise of blood sugar. That combined with the high fiber and protein content makes it a good food choice for diabetics. 7. Rinsing and soaking quinoa helps wash of the saponins that coat the quinoa, thereby reducing the bitter after taste considerably. Watch this video on how to cook quinoa. Properly cooked quinoa expands up to three times in size, becomes translucent and retains a slight crunch to it, similar to pasta cooked al dente. 9. Quinoa can be eaten as a part of curry bowls. Cook up your favourite curry. Keep some toppings handy such as toasted nuts and seeds, sauteed greens, chopped herbs. In a large bowl, add a serving of cooked quinoa, ladle some curry on top so that the quinoa can soak in the flavours of the curry and garnish with toppings of choice. 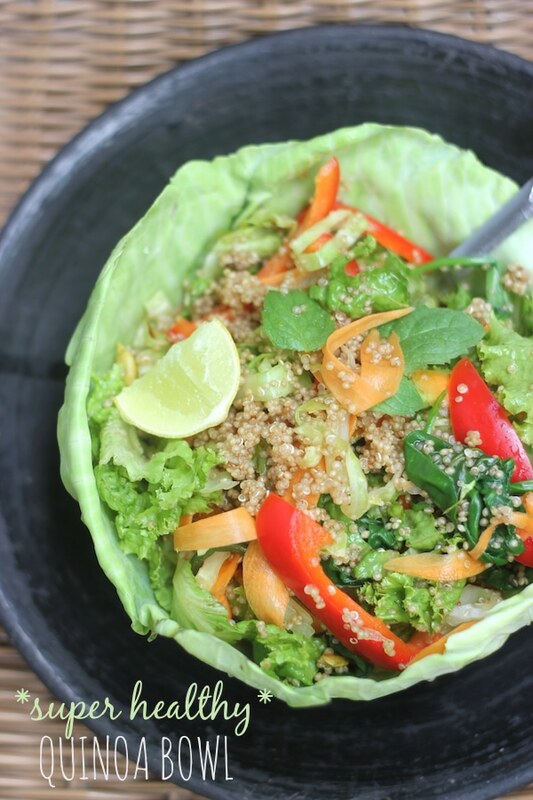 Watch this video on how to make a quick Thai curry bowl with quinoa. 10. Quinoa can also be added to patties / burgers along with vegetables like beet or zucchini, as a part of gluten-free bakes in the form of quinoa flour or even in savoury pancakes. Quinoa tastes delicious in some traditional Indian dishes such as sabudana khichdi as it retains a crunch similar to sago, even after cooking.